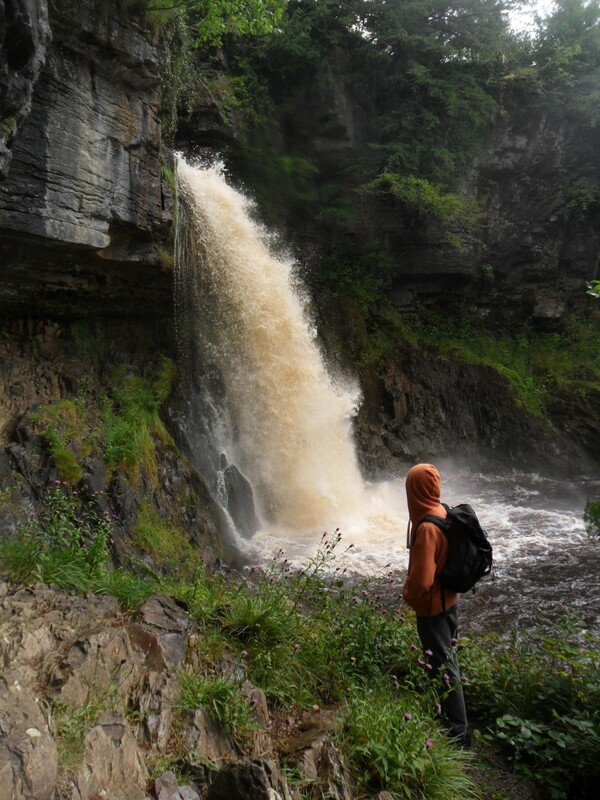 My 13yr old grandson has wanted to climb Ingleborough since he saw it full on, a couple of years ago, whilst caving in Chapel le Dale. 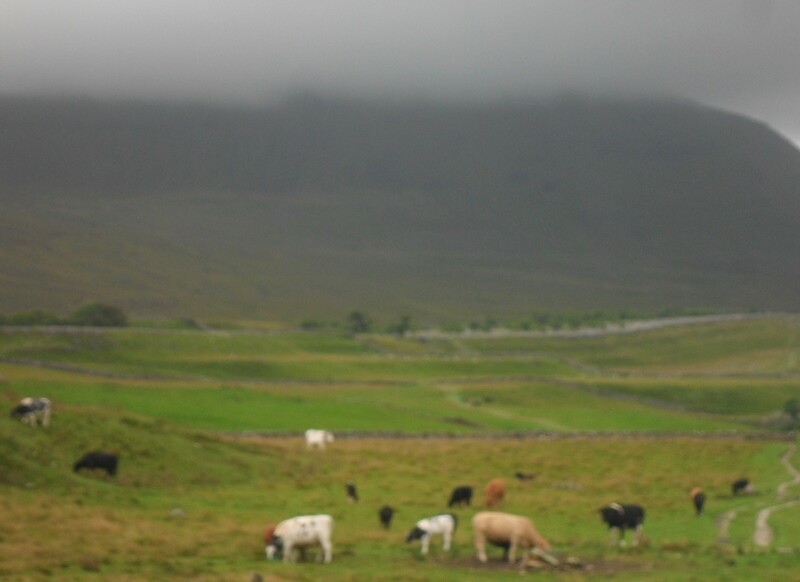 He was staying with me this week but the weather seemed to have taken a nose dive [the back end of hurricane Bertha] We bravely set off in high winds and rain but at the base of Ingleborough itself could see an ascent today would be unwise and futile. 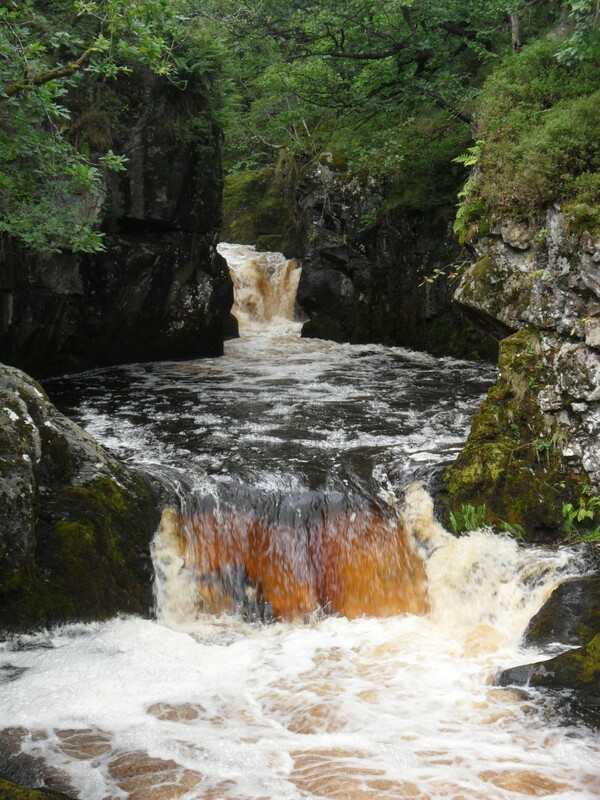 Plan B – Ingleton Waterfall Walk. I’ve not done this for years. The price of entry has certainly escalated [I’ll not comment further] though I seem to remember we used to sneak in above the turnstiles without paying. Lots of families visiting today no doubt because of the weather, so there was a chatty, jolly atmosphere as we made our way around. 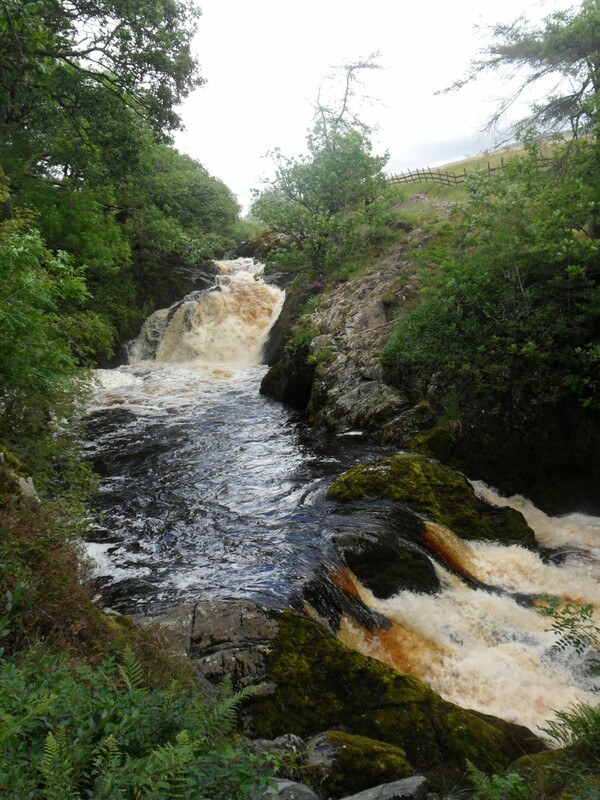 You go up the River Twiss [the private part] and down the River Doe, both are impressive gorges. 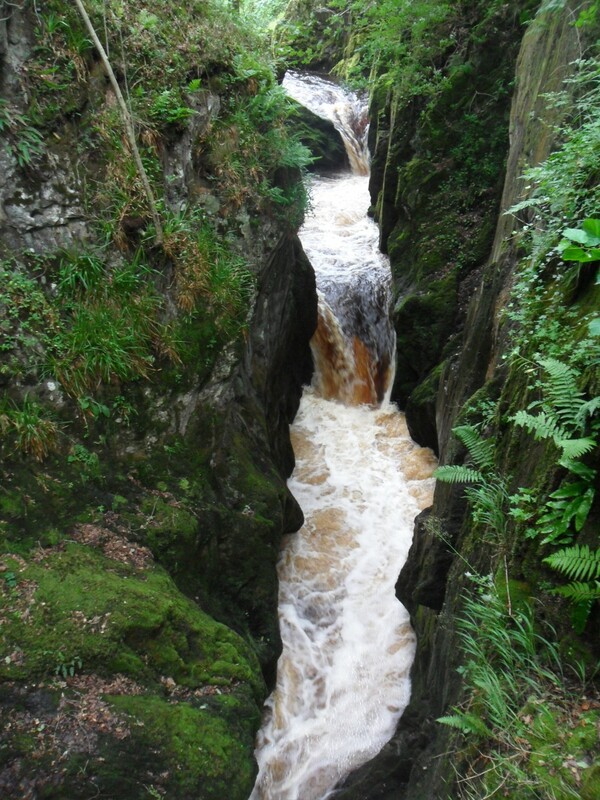 You walk through limestone, slates and sandstone so a good opportunity for a geology lesson. 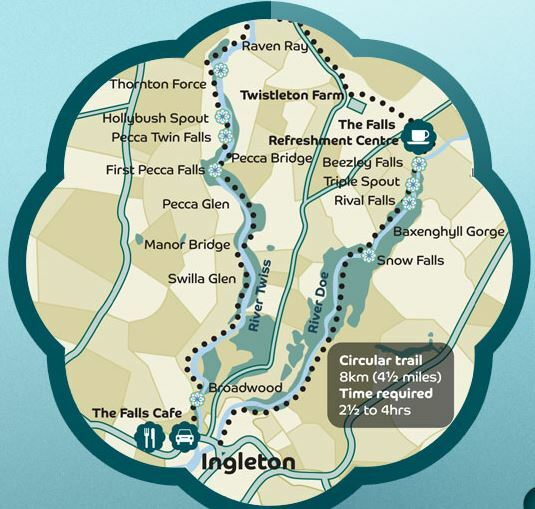 The bit in the middle connecting the two rivers over farm land usually boasts a mobile ice cream van parked in the green lane! 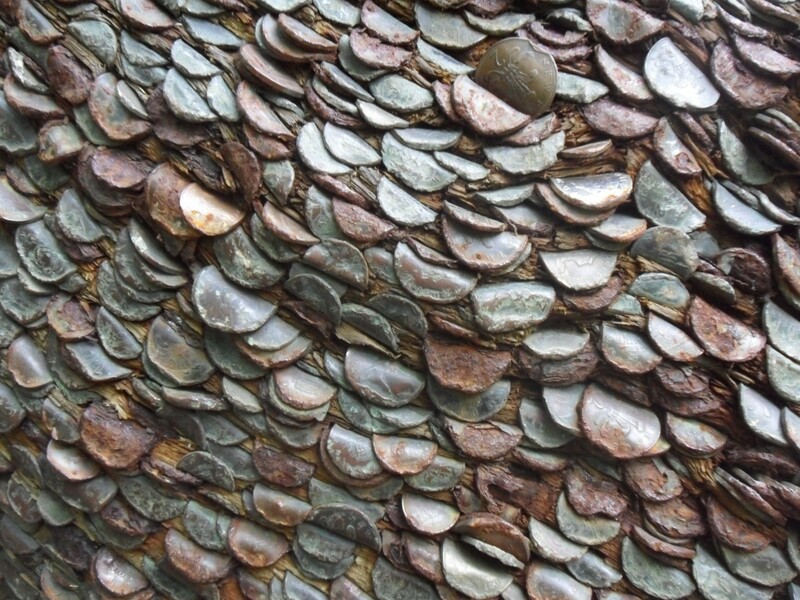 I don’t ever remember seeing the money tree before in Swilla Glen – an old tree completely studded with coins making it look like armadillo skin. 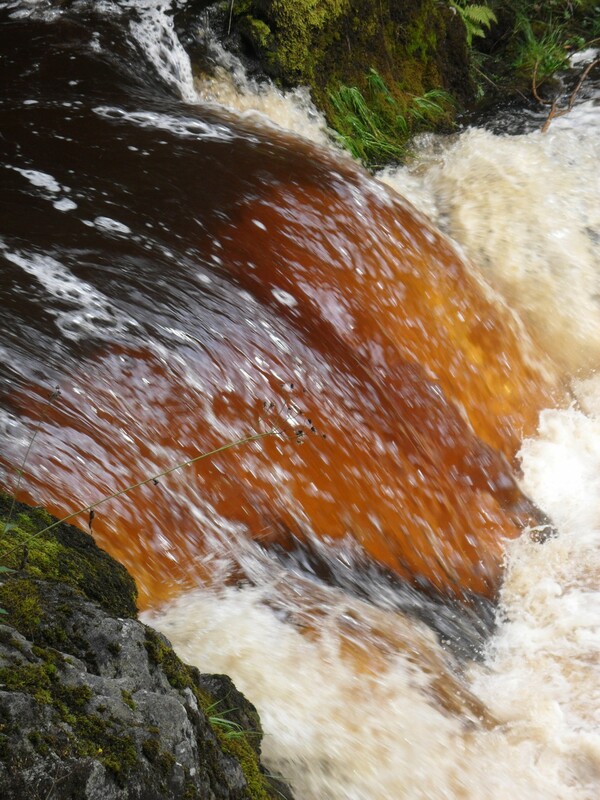 After all the rain we have had every fall today was full of peaty rushing water – very impressive. 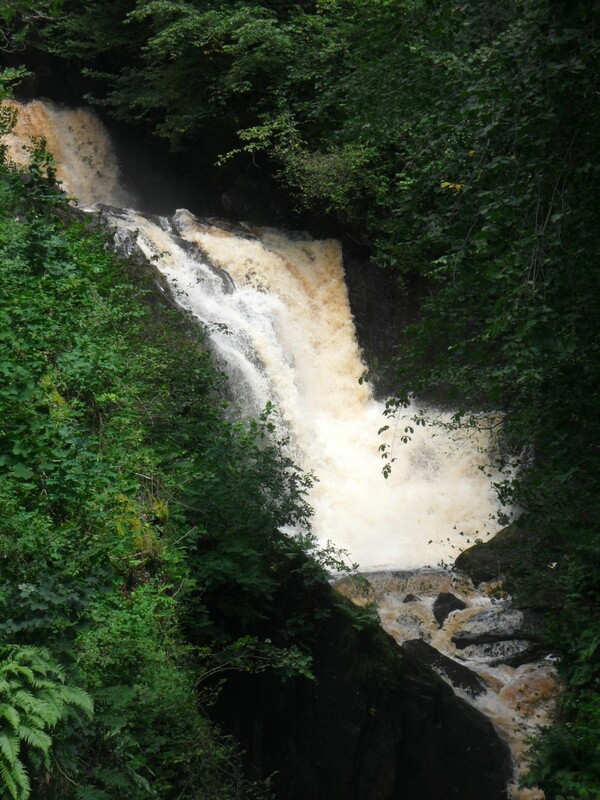 Beezley Falls and Triple Spout. My grandson thoroughly enjoyed the walk, and the ice cream, so the day was a success and Ingleborough can wait for a better day. 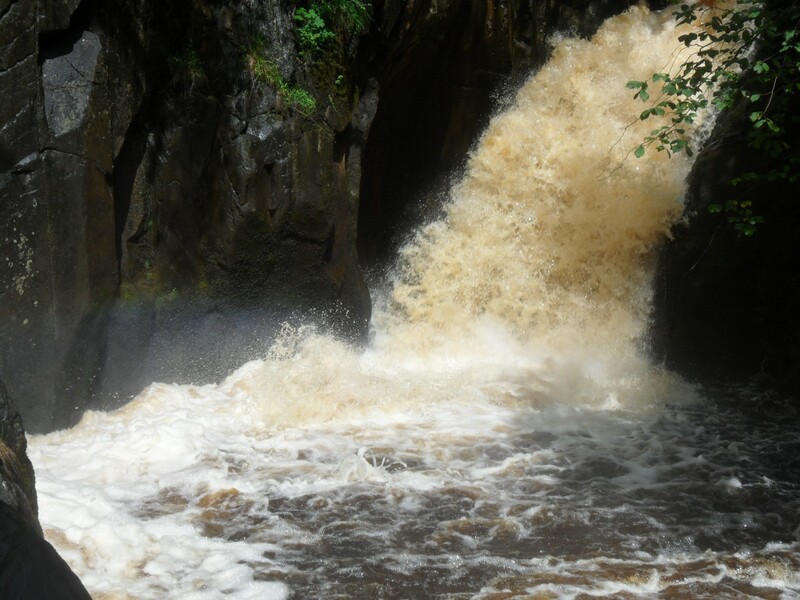 If you haven’t been round this trail before or have in the mists of time pick a day to visit after heavy rain – you will appreciate. A little Switzerland. 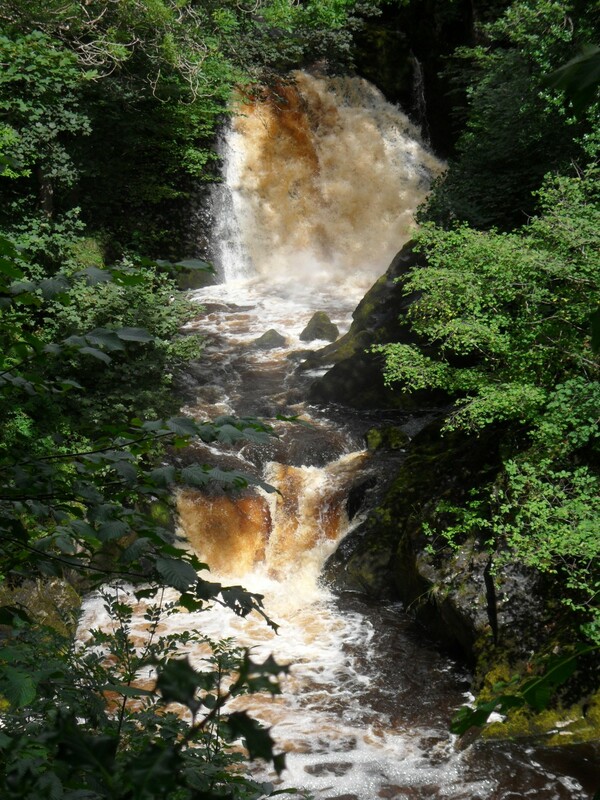 This entry was posted in Family, Walking., Yorkshire Dales. and tagged Walking. 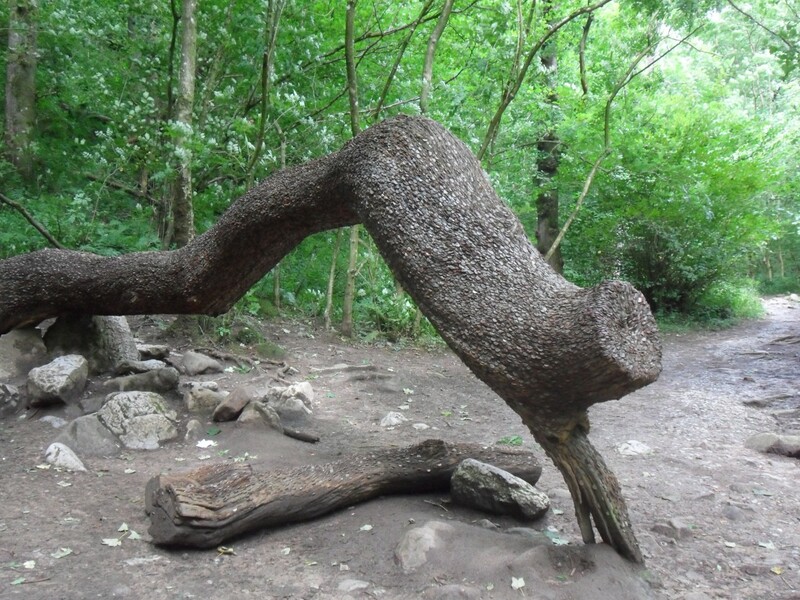 on August 13, 2014 by bowlandclimber. A very wise decision. Getting off the summit of Ingleborough in a thick mist is a challenge for the most experienced, especially if you forget your compass. Could have been embarrassing! I was more worried about the gale force winds that could have blown my grandson away – that would have been even more embarrassing!